what can be done to make swimming a sport for all. give some examples of good practice for you to reference. and transgender people who love swimming. swimming inclusive, welcoming and safe for all. 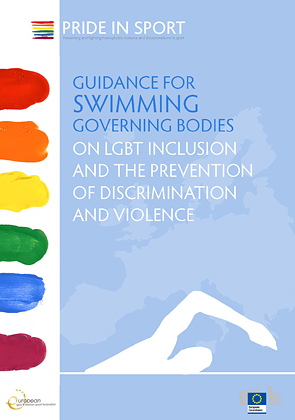 You may download a copy of the publication Guidance for Swimming Governing Bodies on LGBT Inclusion and the Prevention of Discrimination and Violence in PDF format, or view it online below.